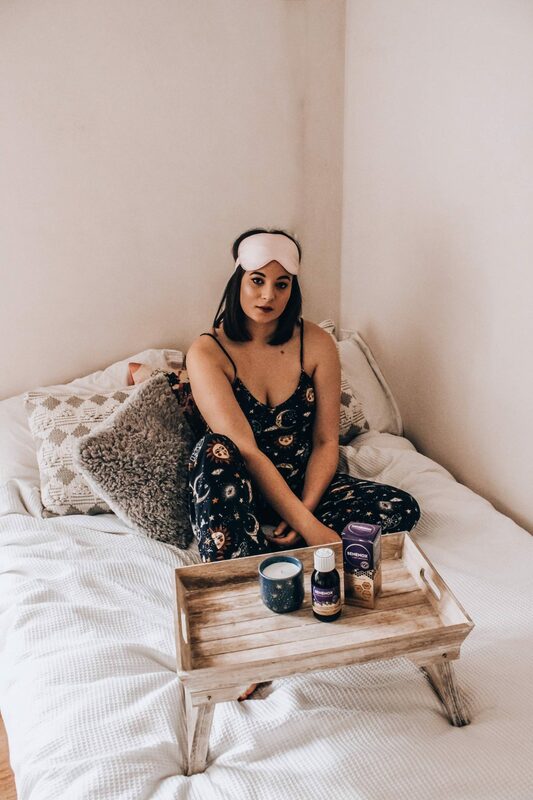 A couple of years ago I shared some products that help me to get a good night’s sleep, and while I still stand by my recommendations, I thought I would share a few new products that I have found really help me to get to sleep quickly, and sleep deeply throughout the night. 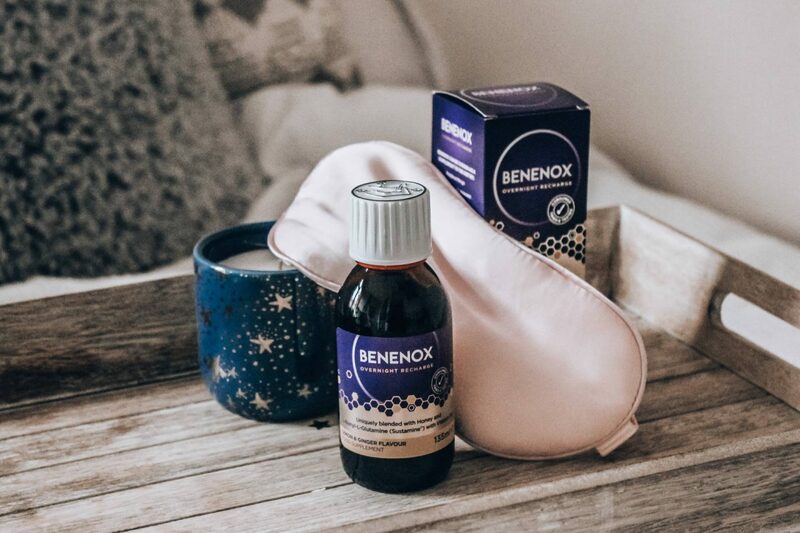 When I stick to a good bedtime routine (no screens after 9pm, lights off by latest 11pm) and use these products I find myself drifting off easily and waking up full of energy. 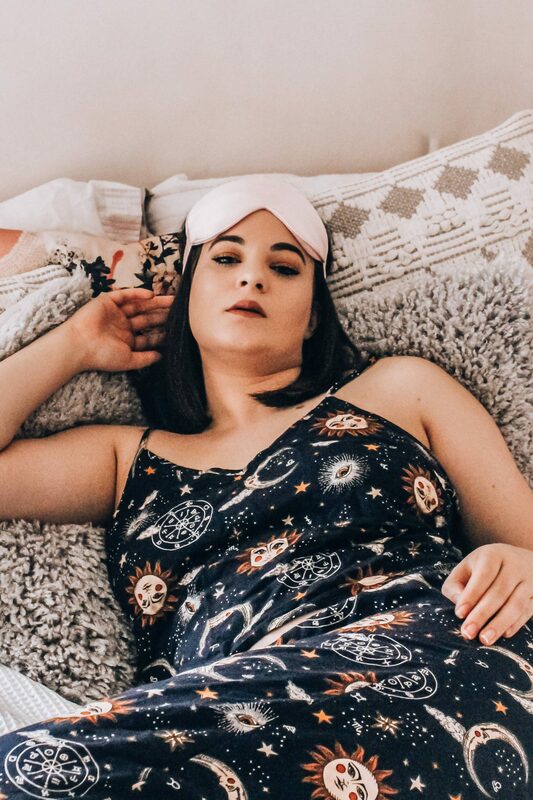 So, let’s get into the products that have had a positive impact on my sleep routine! I’m not usually a fan of supplements (I often forget to take them!) but as this is one you can take just before bed, it’s easy to remember and take if you have a big day ahead of you the next day and want to ensure you sleep well. The supplement contains vitamin B6, which is great for reducing tiredness and maintaining energy production. You can mix this in with hot water to make a drink, but for ease I prefer to just take the 15ml as it is right before I go to sleep. 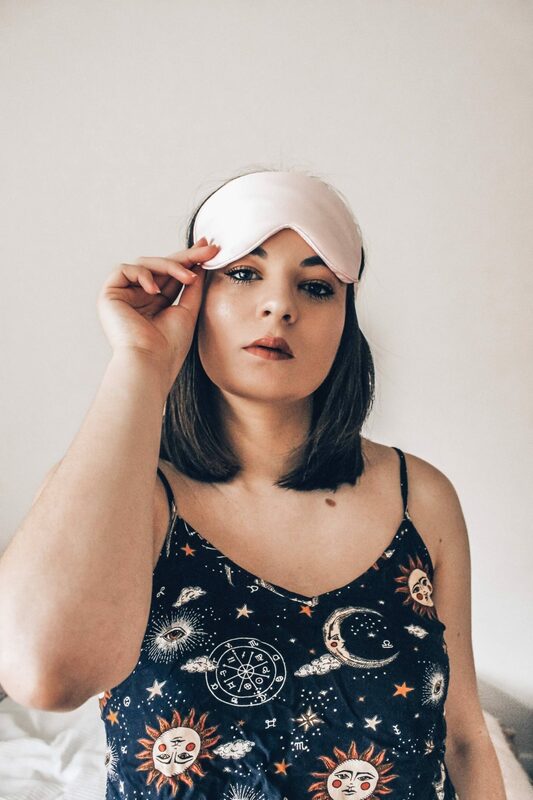 I mentioned an eye mask in my previous post about getting a good night’s sleep, so it’s no surprise that I’m featuring another one in this post! This mask is super soft, and wearing it while I’m trying to get to sleep means I don’t get distracted by the lights in the hall or outside my bedroom. There’s lots of apps available for helping you get a good night’s sleep – my favourites are those that help you drift off to various calming sounds – but Dodow takes a simpler approach. The device includes a blue LED light that is projected onto your ceiling, helping you to fall asleep naturally by breathing in as the light brightens, and out as it darkens. It’s pricey, but I’ve found it really helps to slow down my breathing and get to sleep faster.